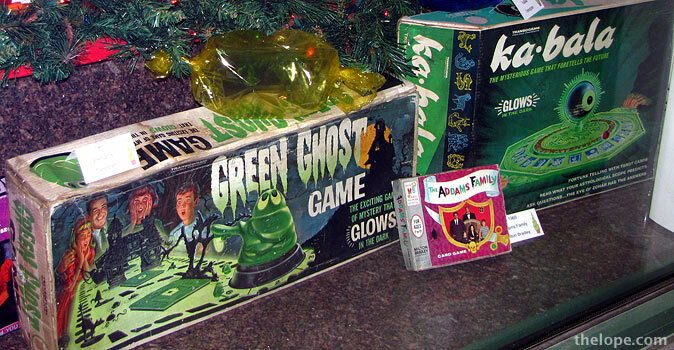 Last year, the Joplin, Missouri, downtown Christmas window display offered a look at some classic horror-oriented games of days gone by. 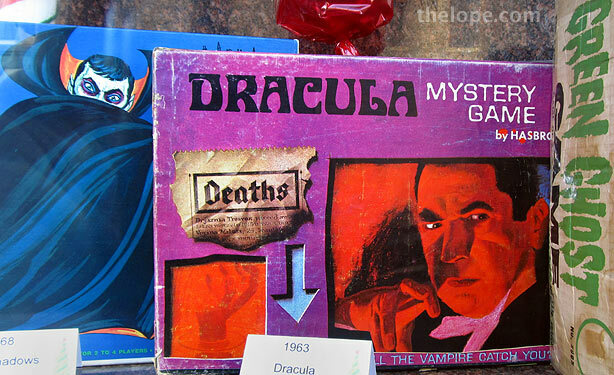 A 1963 Hasbro Dracula mystery game shared space with a 1968 Whitman Dark Shadows game. 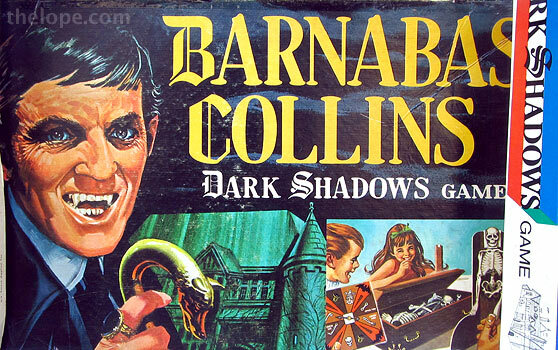 Dark Shadows was also represented by a 1968 Milton Bradley Barnabas Collins game. Incidentally, Tim Burton is directing Johnny Depp in a movie reboot of Dark Shadows, due out in May of 2012. 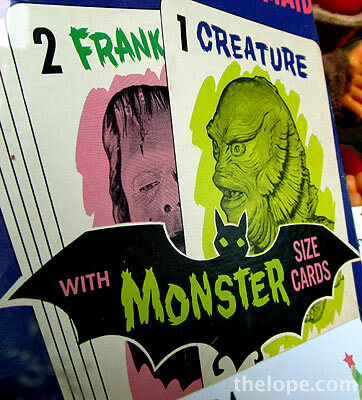 The cards in Milton Bradley's Monster old Maid (1964) featured artwork of the Universal Studios monsters. The single card was Dracula's daughter. 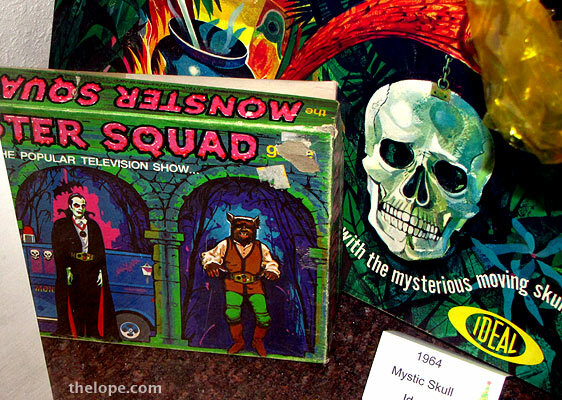 Milton Bradley's 1977 Monster Squad game, based on a TV show I'd rather forget, stands in front of Ideals 1964 Mystic Skull. Here's a better shot of another copy of Mystic Skull, taken at a flea market. 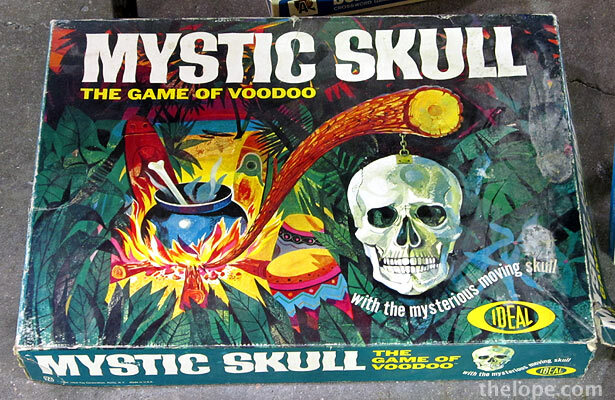 I peeked inside a Mystic Skull game once, and it's not as cool as the artwork suggests. 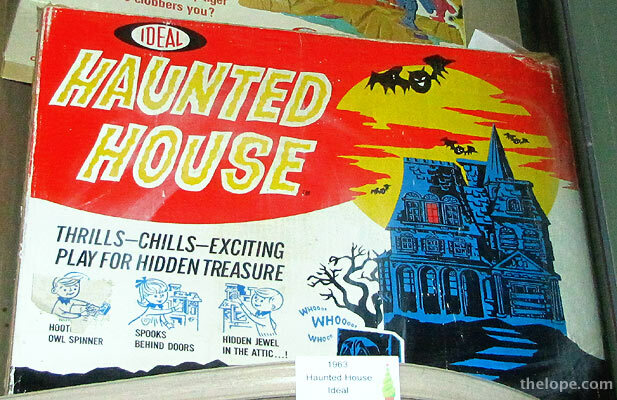 Transogram's 1965 Green Ghost glows near Milton Bradley's 1965 Addams Family card game. "The eye of Zohar has the answers" in Transogram's 1967 ka-bala. I wonder how ka-bala's "fortune telling with Tarot cards" went over in the Bible Belt?